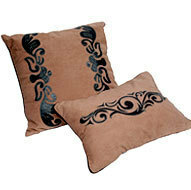 This beautiful real leather cushions with a mox suede design is liked by all. Uptodate Impex offers cushions made from soft fabrics that add to the comfort level. The variety includes cushion in different shapes such as round, square etc., and in all standard sizes. The fabric used are raw silk, cotton and other eco-friendly textiles. We are offering different kinds of home textile product.These all are madeup purely 100% cotton. Our vast collection of Woven Cushion comes in a variety of natural colors and different designs. Apart from creating its own designs, the company also manufactures products as per the requirements of the customers. 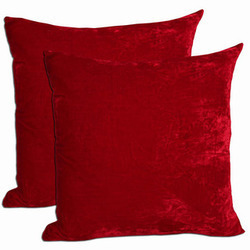 With thorough industry knowledge, we are engaged in offering a wide range of Designer Cushions. These cushions are available in various colors and sizes at reasonable rates.